Think you’ve conquered some of New Zealand’s most adrenaline pumping mountain bike rides? Think again. 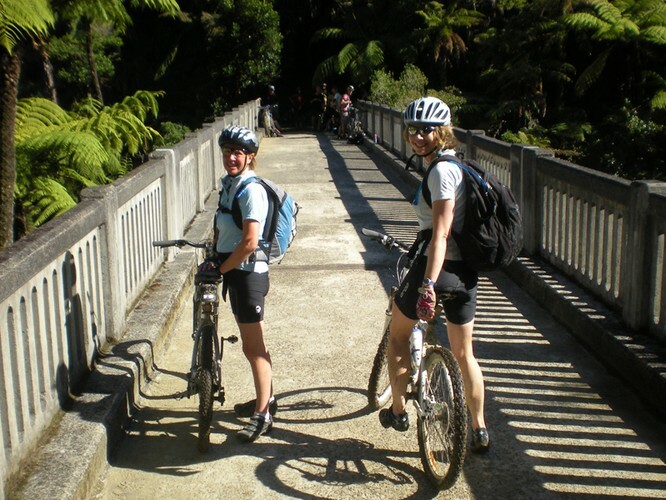 Not for the faint hearted, the Bridge 2 Nowhere ride is heralded as the North Island’s premier adventure ride and for good reason. On this 38km journey you’ll pass through the historic Mangapurua Valley en-route to the Whanganui River where you’ll experience an exhilarating 45-minute jet boat ride to Pipiriki. Hop off your bike and stop to appreciate the natural history of the area, which is home to various biodiversity initiatives. You’ll be spoilt for choice when it comes to adventure and photo opportunities. This is a 5-8 hour trip.